ILLEGAL RAVES IN THE UK ROSE BY 9 PER CENT LAST YEAR! A new report has revealed that illegal raves in the UK rose by 9 per cent between 2016 and 2017. Having gathered FOI responses from 14 regional police forces in England and Wales, Sky News found that over 680 unlicensed music events occurred in the UK during 2017 – a significant increase from the 628 that were reported the previous year. With just 14 out of the 45 territorial police forces in England and Wales providing their figures to the news outlet, it’s estimated that the actual number of illegal raves that occurred is much higher. 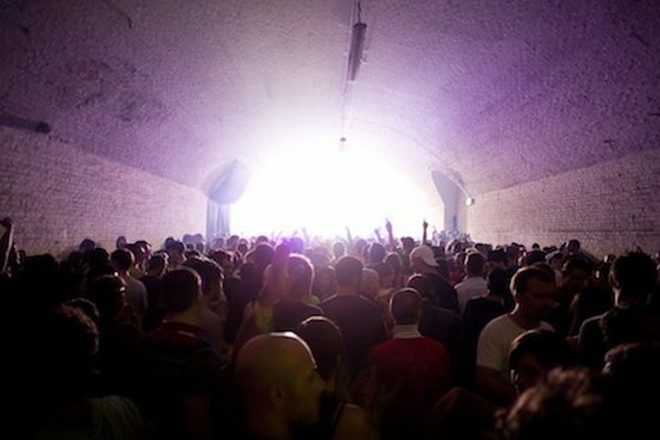 It’s reckoned illegal raves are on the rise due to costs at licensed venues increasing. According to figures from data firm CGA, the number of nightclubs in London fell by 8 per cent between 2014 and 2017. With fewer dancefloor options in the city and beyond, rave enthusiasts have taken to more clandestine locations to get their party on. Back in March, the Metropolitan Police intelligence unit SCO-36 found the number of illegal raves being held in London have almost doubled since 2016. Despite reaffirming their commitment to stopping these events from taking place this past summer with the introduction of new tactics like drone surveillance and awareness campaigns on “how to spot an illegal rave an illegal rave,” the police have come up short in dissuading the public from throwing and attending these events. Whether taking place in the forest, a mushroom factory or an abandon Toys ‘R’ Us, illegal raves continue to pop up, flourish and evade the police around the country. He said: “Clubs are more expensive than ever, the same goes for drinks prices in clubs. “On the flip-side, it’s worryingly easy to get your hands on drugs in London alone and the strength of ecstasy has sky-rocketed.